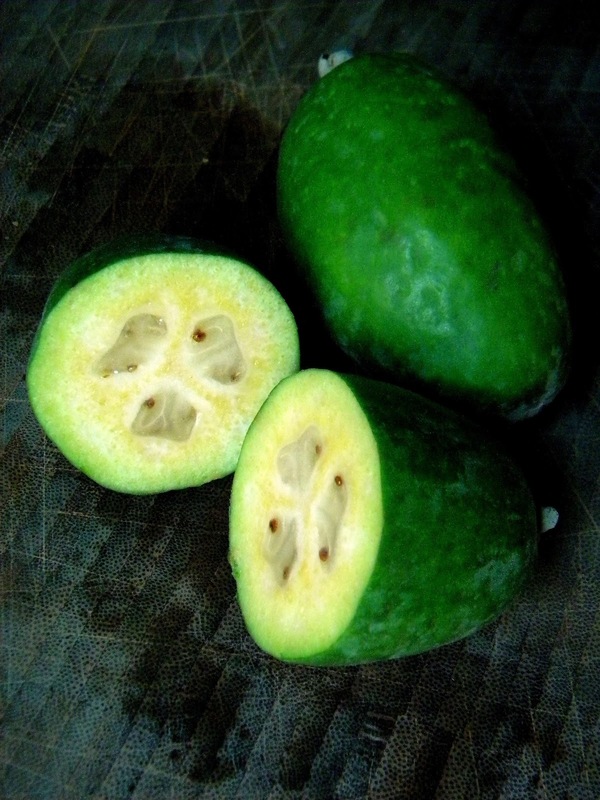 I've never heard of Feijoa. I must find this mystery fruit! At first I thought they were limes... one of the best things about living in Brooklyn is all the exotic fruit - like space fruit exotic! There are things here I have only seen on Star Trek. I've never heard of them either! I love the random stuff that pops up at fruit stands. Spoiler Alert! I got some Dragon Fruit too that I'm playing around with today! I'll let you know if anything good comes of it.